A view that displays data from a HealthKit activity summary object. 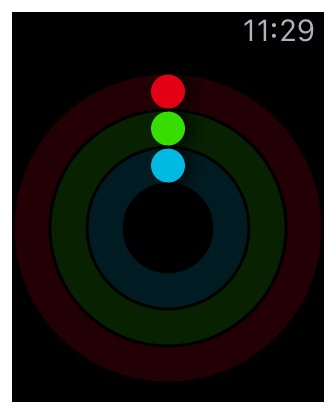 The WKInterfaceActivityRing view displays data from an HKActivitySummary object, using the Move, Exercise, and Stand activity rings (see Figure 1). 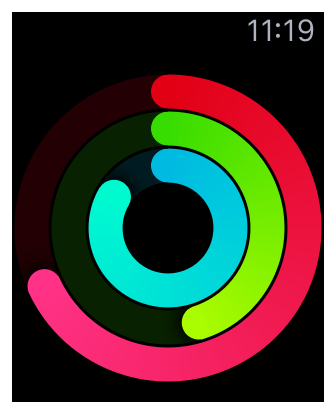 The activity ring view always appears as a black rectangle with red, green, and blue concentric rings. The rings are centered in the view, and sized to fit the available space (see Figure 2). The rings have two different ways to display a lack of data. One indicates that the activity summary is missing, and the other indicates that the activity summary’s values are set to zero. 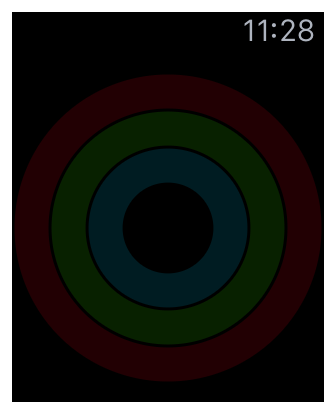 If the ring has a nil-valued activitySummary property, the rings appear empty (see See Figure 3). Use this to indicate that there is no summary data available for the specified day (for example, dates in the future). If the summary has zero-valued quantities set for its value properties, the ring displays a dot at the top of the ring (see Figure 4). Use this to indicate that the user has not yet burned any active calories, exercised, or earned any stand hours for the specified day. To display activity summary data from the HealthKit store, use an HKActivitySummaryQuery object. You can also instantiate and display your own HKActivitySummary objects, as needed. To display data for a ring, the HKActivitySummary object must have a non-nil quantity for both the corresponding value property and goal property (see Table 1). Sets the activity summary displayed by the activity ring view. An interface element that displays static text. A label that displays the current date or time. A label that displays a countdown or count-up timer. 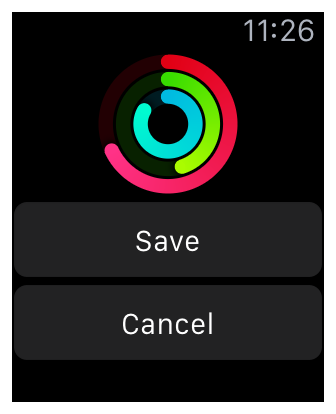 A button in the user interface of your watchOS app. A button that you can use to trigger payments through Apple Pay. An interface element that toggles between an On and Off state. An interface element that lets users select a single floating-point value from a range of values. An interface element that displays a noninteractive map for the location you specify.